MistServer is media server software designed to be modular, reliable and efficient. It’s specialty is making streams available for all devices, providing an efficient harmonized workflow while allowing for individualization. 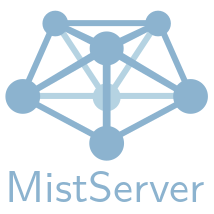 MistServer can serve every supported format from a single memory buffer per stream. Viewers within MistServer get their own process allowing precise control while improving stability and efficiency. Working with MistServer is easy because of the straightforward but powerful JSON-based API and fully scriptable event-based triggers.